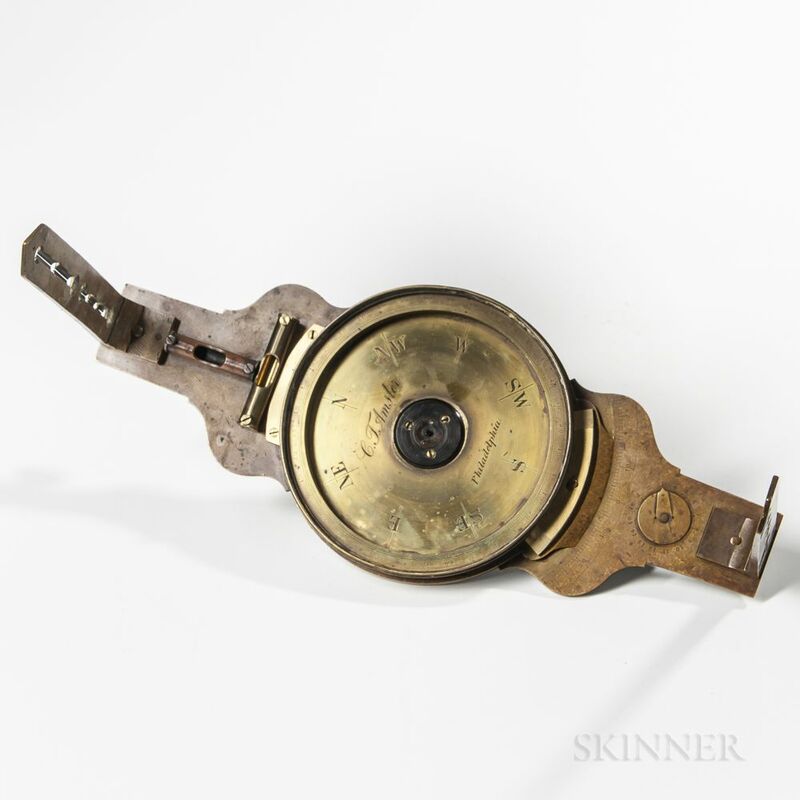 Charles T. Amsler Vernier Compass, Philadelphia, Pennsylvania, 5 1/2-in. brass engraved dial marked as above, with outkeeper, (lacking needle), and glass housing, lg. 14 in. Note: Charles T. Amsler is not mentioned in Charles Smart's book The Makers of Surveying Instruments In America Since 1700. However, we know Amsler emigrated from Switzerland, and was active in Philadelphia from 1848 to 1855, working as Amsler & Wirtz from 1856 to 1861.
one screw knob on vane sight is broken, one level is replaced, brackets holding compass body replaced.